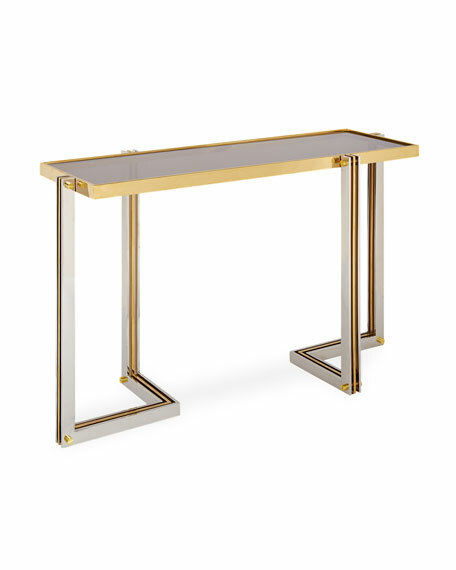 Alternating bars of polished brass and polished nickel cradle a bronze glass tabletop in a dynamic composition. 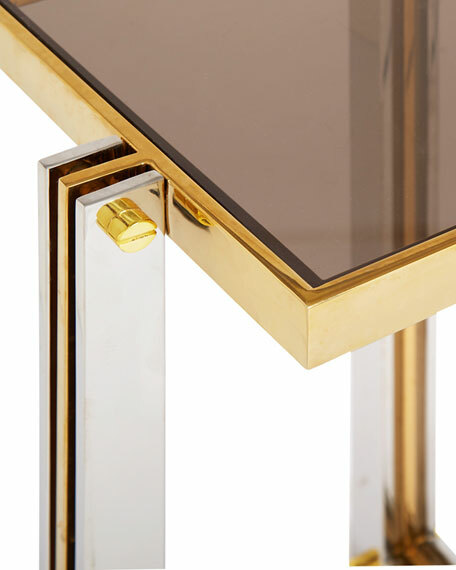 Think Studio 54 hedonism, think Wiener Werkstätte elegance. 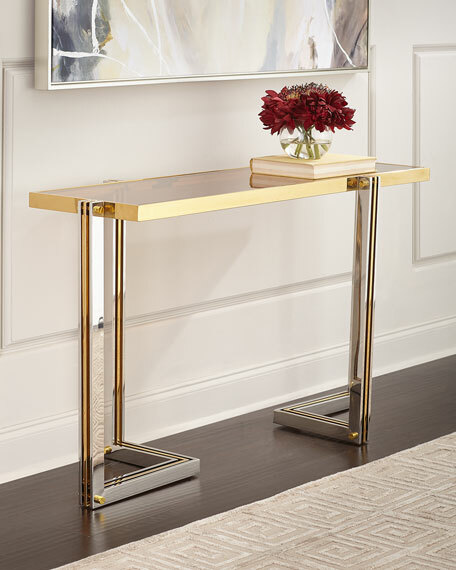 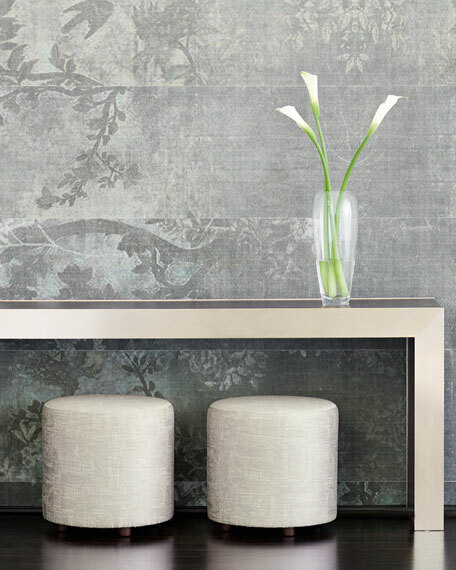 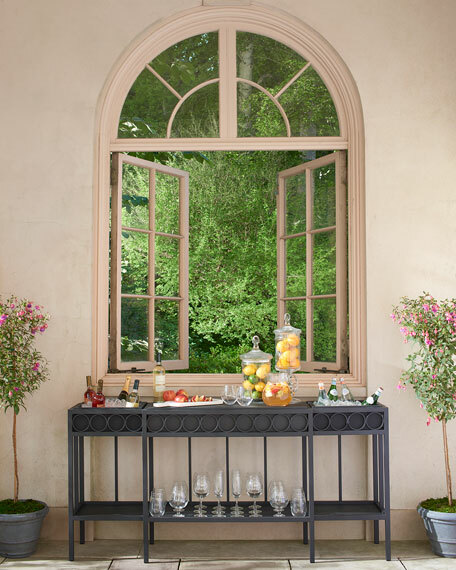 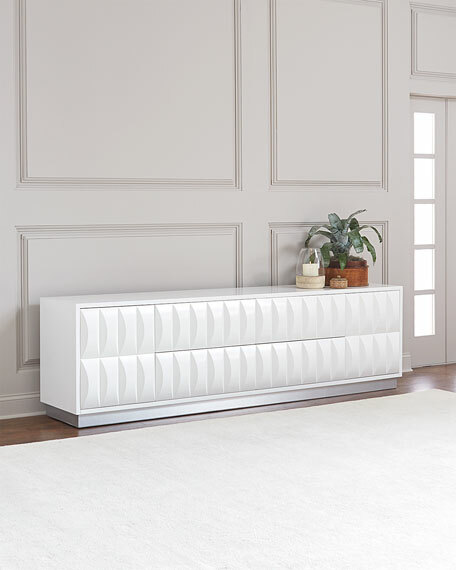 With a small footprint but strong presence, our Electrum Console table is perfect in an entryway or behind a sofa. 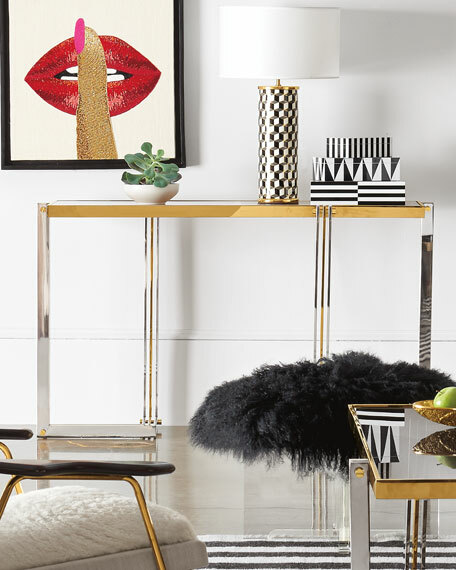 A simple but dynamic form with a glamorous twinklea future classic. 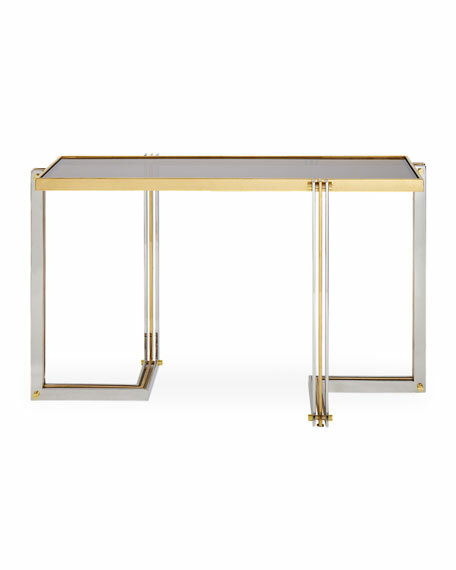 Console table with bronze glass inset top. 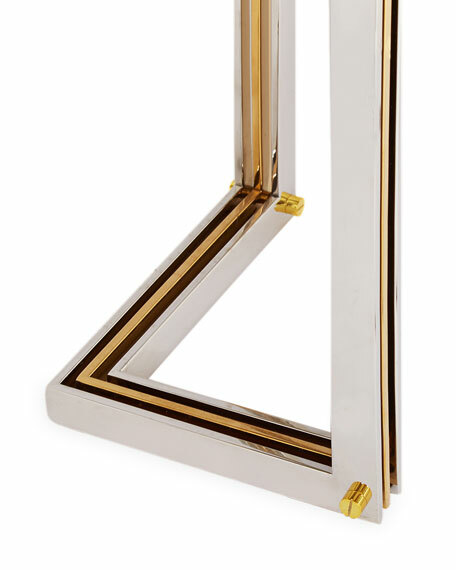 Alternating polished brass and polished nickel frame. 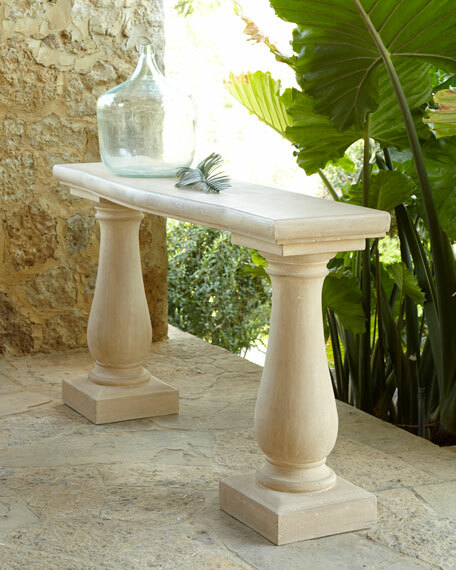 51"W x 18"D x 30"T.
EXCLUSIVELY OURS.Handcrafted console table.60"W x 16"D x 33.5"T.Crushed stone/polyester resin/styrene/fiberglass.Latex finish.Imported.Boxed weight, approximately 93 lbs.